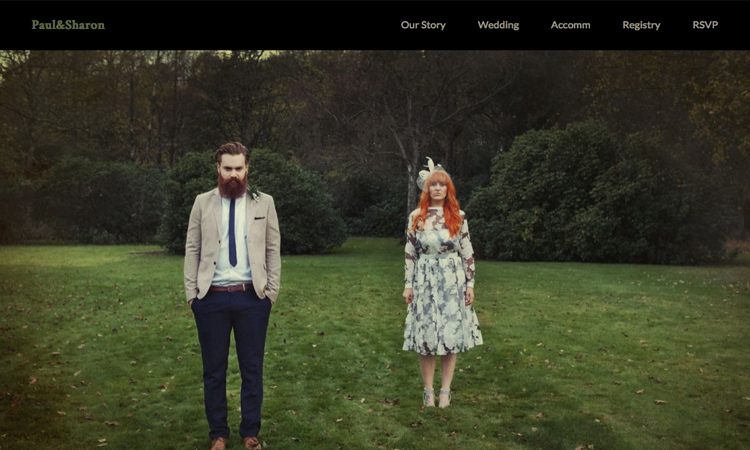 "Our Wedding Website was created as an extension of our existing brand, to satisfy the need for beautiful, modern, personalised wedding websites. 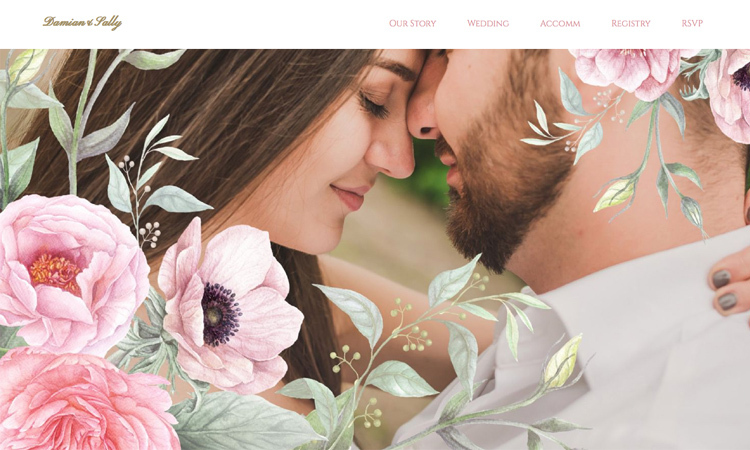 Our wedding websites are lovingly created with you in mind and are tailored to your colour scheme and theme, whether you absolutely love florals, vintage or contrasting metallics." "All you have to do is provide us with the information and we’ll take it from there!" 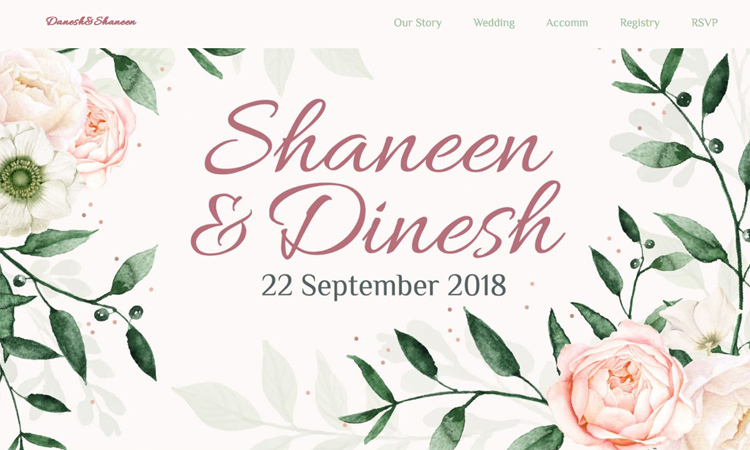 Using Our Wedding Website worked well for us as we live abroad. 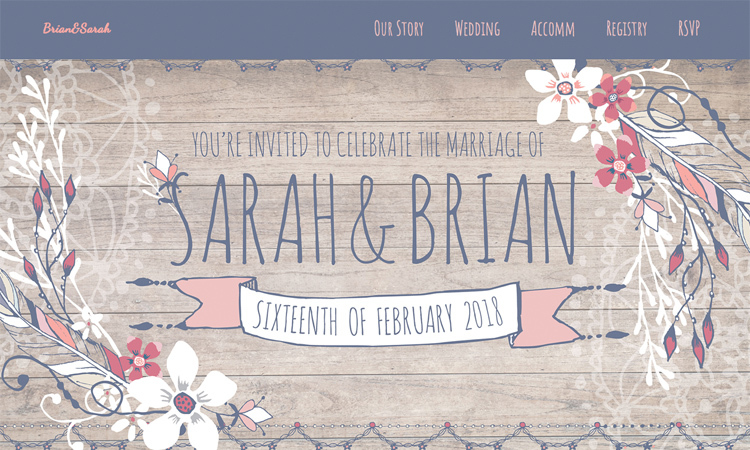 Janet created some stunning invitations for us, and we used our website as a neat way for our friends and family to RSVP. Some of them also enjoyed finding out things they may not have known about it (I think my Gran was shocked haha). Thanks for the great site! Thanks Janet for the AWESOME website! It was a pleasure working with you and we would be happy to recommend you to anyone getting married as you made the process so easy! 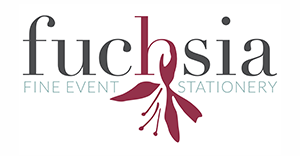 Many of our guests are overseas so it made sense for us to make a wedding website that everyone can see immediately, and be able to RSVP directly from the website. 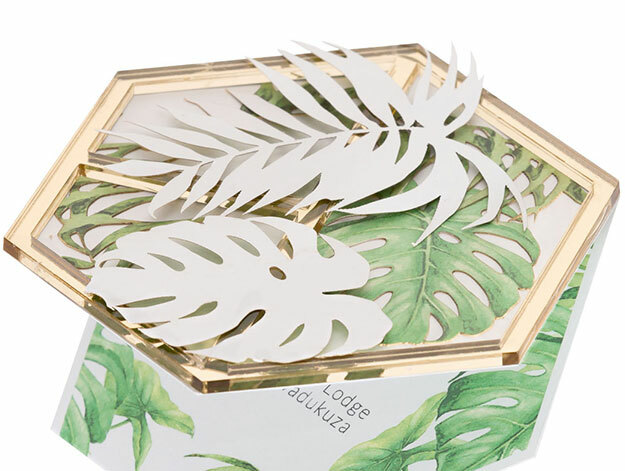 We looked online and most of the templates we found were very bog standard and limiting. 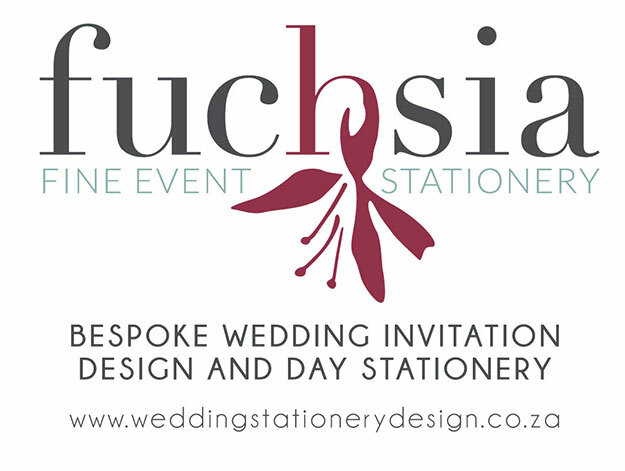 We were ecstatic when we saw what Fuchsia Designs created for us, and are super excited to send the link out to our friends and family. Janet also created a digital invitation for us to use, and we look forward to seeing what she creates for our seating plan, menus, programmes etc. 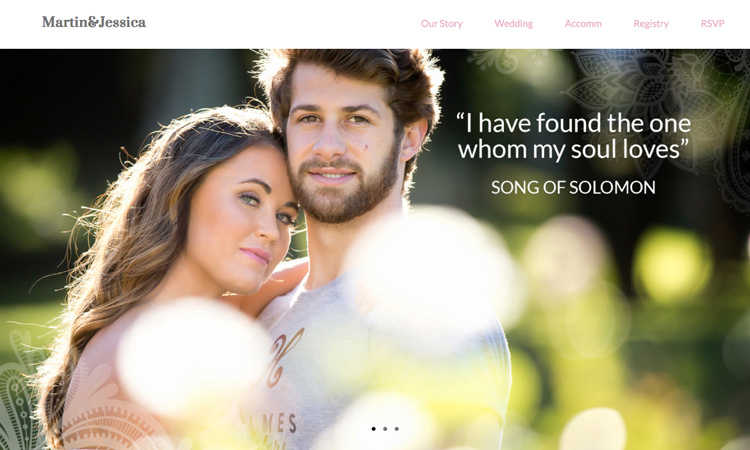 2019 © Our Wedding Website.